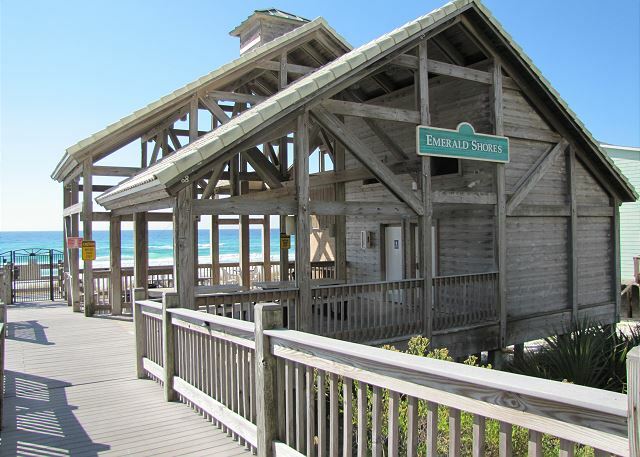 Destin Beach House for rent in Emerald Shores! Ocean Dreams is a 3 story Caribbean style cottage located just a short 5 minute walk to the beach and directly across from the bigger of 2 community pools! Upgrades include granite counters, attractive tile, and laminate flooring. The Master bedroom is on the 1st floor with a King size "Cooling Gel" mattress! There is a queen bedroom and a bunk room (for the kids) on the 2nd floor and a queen bedroom and 2 twins in another bedroom on the 3rd floor. The 3rd floor has a mini bar on the landing! There is also a bathroom and access to the covered balcony from both bedrooms. 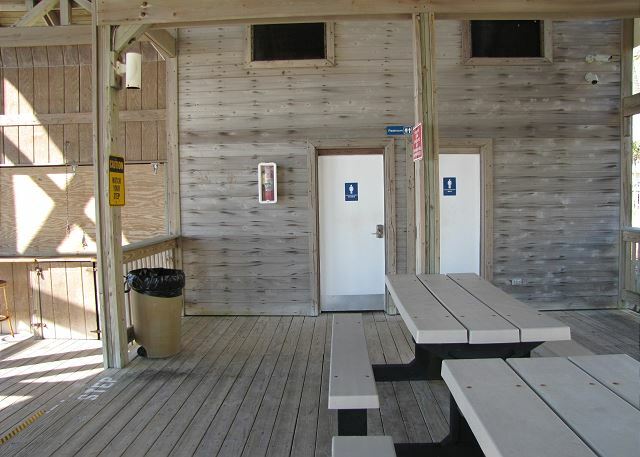 The 2nd floor has a bathroom and a covered balcony too! There are TVs in every room! The bunk room and the sleeper sofa are better for children! The front porch area has been expanded with brick pavers and has seating for several! The back porch is screened and private. There is also a small back yard with a picnic table! The cozy living room is complete with a big screen TV, a leather sectional, desk, and a mirrored curio area! This home is nicely furnished and well decorated. We thought of everything! You'll love this home! Beach service is available at the beach for a fee! 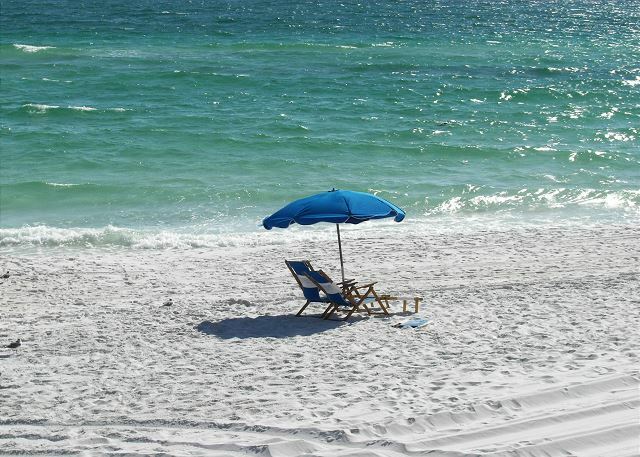 Emerald Shores is a small gated community centrally located between the Destin Commons Mall and the Silver Sands Outlet Mall just off Scenic Gulf Drive. The walk to the beach is easy but there is also a free tram service during the summer if you didn't want to walk! The bigger of 2 pools is directly across the cul-de-sac and the tennis court is a short 3 minute walk! Restaurants are very close too! Shopping, sightseeing, Golf, and all water sports are all within 5 miles! My Husband and myself got there before everybody else did. We were wanting to be alone for a day before everybody else got there it was our 20th anniversary. The house smelled cleaned like they just mopped the floors with PineSol. The house is directly across from the pool thank goodness for that when we got there the two of us went to the beach and had "red tide" so we came back up and relaxed at the pool. We were supposed to be there from Oct 5-13. But....we had a mandatory evacuation for a hurricane Michael. We did like the house for the short time we were there very clean. Thank you for a clean nice home. I do recommend the trip insurance. Thanks to Crystal Waters Reality to recommending the insurance. Hello James, We're happy to hear you and your wife were able to enjoy a few days for your Anniversary before the storm. We hope you'll come back and stay with us again next year! Great location and clean! Check in was easy! I would definitely stay here again! Hi Larry, Glad to hear you enjoyed your stay at Ocean Dreams. We look forward to you staying with us again in the future! Had a lovely stay with my relatives. The house was very accommodating for all of us. Everything that we could have needed was provided for. The short walk to beach was nice. The pool being right across the street was very convenient for us with the kids. Over all it was a great experience. Hi Esmeralda, We're happy to hear you enjoyed your stay with your family and found "Ocean Dreams" to be very accommodating. We look forward to seeing you again next year! Great Rental with all the amenities inside and out! The owner was fantastic and understanding about adding a pet last minute to our reservation and were very prompt with their responses. Also the dryer malfunctioned and they had a brand new one delivered and installed within an hour. Thats incredible customer service! Cable TV in every single room including the breakfast room! 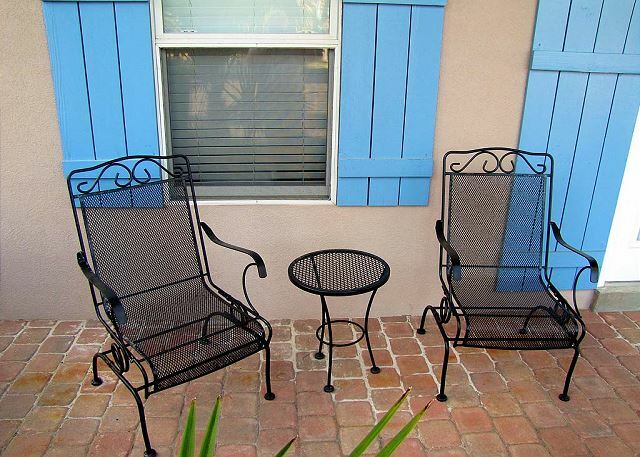 Great place and great location right across from the heated pool and short walk to the beach! Thanks again for a great experience! The home was lovely, the kids really enjoyed the heated pool. The walk to the beach was short and walking on the beach was awesome. If you have tried to book a condo for golfers you know how hard it is to find something reasonably priced with at least 8 beds. This one is it, we had a great time and everyone had a bed, no pullout couch needed. Will definitely book again. This was an upgrade over our original rental, as the AC unit for that house broke before we arrived. The property managers were very professional and helpful. The house was clean and comfortable. The back porch is more storage area than a sitting area, but it worked for us as the kids made use of the floats and beach toys. The house was very nice, We really like that it was so close to the beach. Awesome time with the exception of no one answering the phone at the office for the contact number. Also had problem with bugs in the furniture on the balcony other than that the house is clean the pool was right outside your house. We had an AMAZING time. This home was perfect for our large family to stay at. Enjoyed the close eating, bars, beaches, basketball, tennis, and nearby attractions! Fun for all ages! Our vacation rental experience was great! I felt very secure in renting and they were very helpful with any questions. The home was very nice and spacious. It was enough space for 12 people not to feel crowded. The home was clean and well maintained. The best part was the 5 minute walk to the beach and the pool being right across from the house. I would definitely rent again! It was a great house that included everything you could need for a week trip to the beach. Great location. 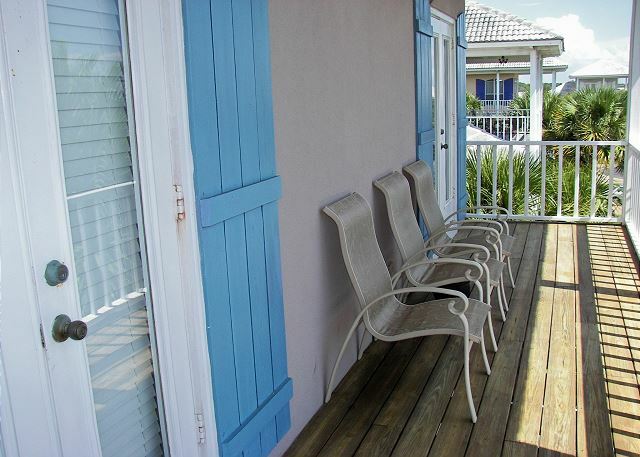 Ocean Dreams is a great house in a great location close to the pool in Emerald Shores. Glad you had a nice stay and hope to see you soon. Bad weather, but good time in a great house! Had rough weather most of our week's stay, but enjoyed watching the Olympics all together, shopping at the souvenir shops,eating at the great area restaurants, walking on the beach in the rain! So glad you enjoyed your stay at Ocean Dreams! Sorry about the weather but happy you found a way to still have some fun. Ocean Dreams is a nice home with a great location. Good place to be! Ocean Dreams was the perfect home for our family. We could spend time and have meals together, then go to the pool,the decks or our bedrooms for some "alone" time. The house was well supplied. The only thing I felt we needed was a step stool in the kitchen to reach the shelves that were too high for those of us who are shorter. So glad you all enjoyed Ocean Dreams. It is a nice home with great pool views and so close to the beach! Will mention the step stool when the owners come down next month! This is our 4th time to rent Ocean Dreams. 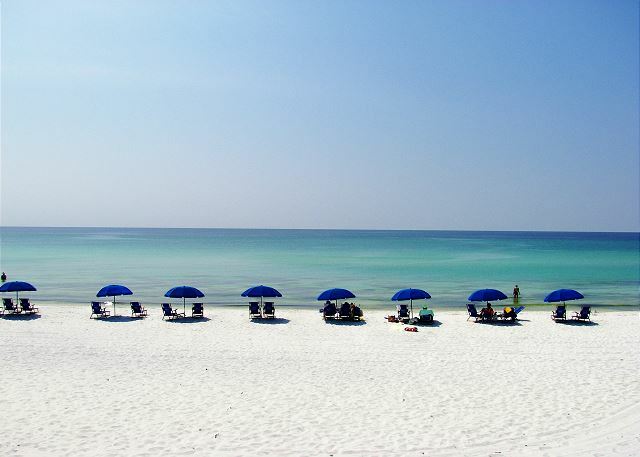 It's hard to beat in Destin. Convenient location, always clean, everything is in working order. Pool and beach are great. After all these visits, it feels like home. So glad you enjoyed your stay at Ocean Dreams! 4 times is like a second home! We do our best to keep it clean and comfortable for everyone! The location and amenities cannot be beat! We had a wonderful experience at Ocean Dreams. The house was exactly as described. It slept 12 people very comfortly, was fully stocked with everything we needed. The pool was so convenient and the beach is a short walk. Would highly recommend for family get together. So glad you enjoyed your stay at Ocean Dreams! It is a nice home very close to the beach and right across from the bigger of 2 community pools! Comfortable and clean too! This house Ocean Dream is a very clean house with almost anything as far as the kitchen goes. This house is directly across from the pool. Maybe 5min to the beach. Very secure even the beach access is gated. We went in October the beach isn't real crowded but still warm. The masterbedroom has the memory foam mattress which is awesome (king) they have a cute back yard with picnic table and a red wagon which you can put your stuff in to take to beach and toys for the beach for the kids. The bedrooms flatscreen TV's even in diningroom. The only thing was we tried the gas grill couldn't get to work and a little dirty so we went to Lowe's right down the street and bought a cheap Charcoal grill but that was minor. The house was great for our big family. Would recommend to anyone with big families. So glad you enjoyed your stay at Ocean Dreams! it is such a nice home with lots of upgrades and great views of the bigger pool! Secluded and in a gated neighborhood but so close to everything! It was very nice & clean kids had a blast love to do it again.. So happy you enjoyed your stay at Ocean Dreams! 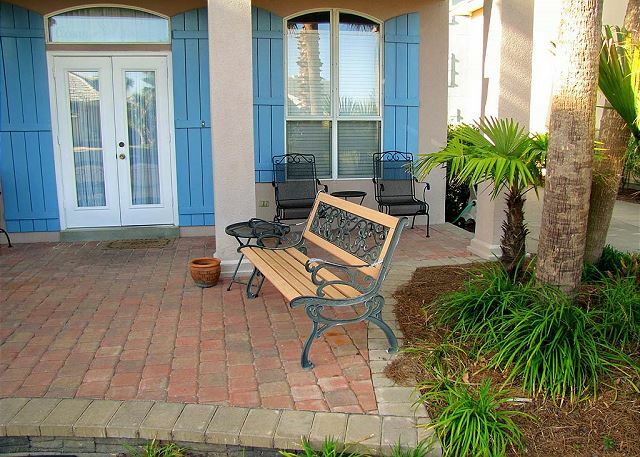 It is truly a nice home in the best vacation rental neighborhood along our stretch of beach! Nice amenities and great location too! The house and the location was beautiful. The gated community felt very safe. The house was clean. The walk to the beach was about a 10 minute walk. Wish it would have been a little closer to the beach. Didn't like crossing the street to get to the beach. Everyone enjoyed the stay and the beach was beautiful. Will definitely stay again. So glad you enjoyed your stat at Ocean Dreams! It is a super nice home very close to the beach in a gated neighborhood. It truly is less than 1/4 mile, less than one time around a high school track! Most people walk it in only 5 minutes. Glad you liked the location and would stay again. We look forward to it! House was clean, nicely decorated, and best of all - immediately across from the larger pool. So glad you enjoyed your stay at Ocean Dreams! It is a big and nice home right across from the bigger pool and close to the private beach cabana! We do our best to keep it clean and comfortable for everyone! Had a wonderful time. Awesome trip!!! So glad you enjoyed your stay at Ocean Dreams! It is a nice 5BR/3BA home in a gated neighborhood very close to the private beach access! The balconies are nice too and the location cannot be beat! 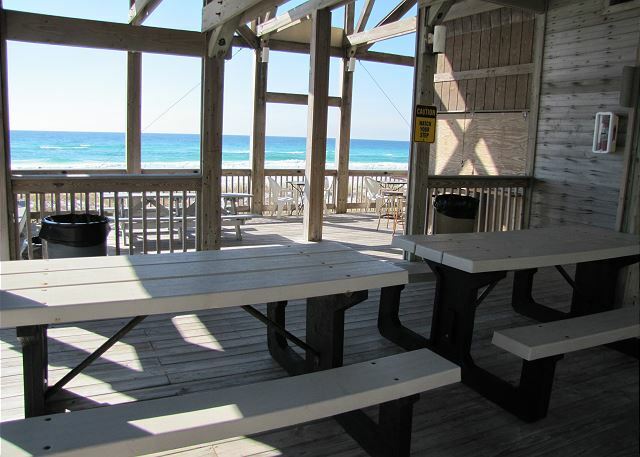 Walk to a few restaurants along the beach or drive to all Destin activities within 5 to 7 miles! So glad you enjoyed your stay at Ocean Dreams! It is a nice home very close to the beach and right at the bigger of 2 pools. Nice views of the pool from the balconies! This was our third stay in Ocean Dreams. It is conveniently located, well appointed,and well maintained. My only complaint is that Highway 98 is getting overcrowded in the summer, so getting into and out of the development took more time. So glad you enjoyed your stay at Ocean Dreams and that you've been there 3 times! It is a nice home in the best neighborhood along our stretch of beach! Traffic has been bad recently but keep in mind, we have an exit to Scenic Gulf Drive along the beach too. It does help to get around in the Summer. I think the problem on 98 last week was that there were accidents that may have caused some slowdown. Hopefully, that is not the norm! ABSOLUTELY LOVED IT! It was amazimg. The rooms were perfect. I loved hanging out on the balcony. The walk to the beach was not far. And the private beach was perfect. Not overcrowded at all. The pool in our view was great for us parents. It was a home away from home. We will be back! So glad you enjoyed your stay at Ocean Dreams! 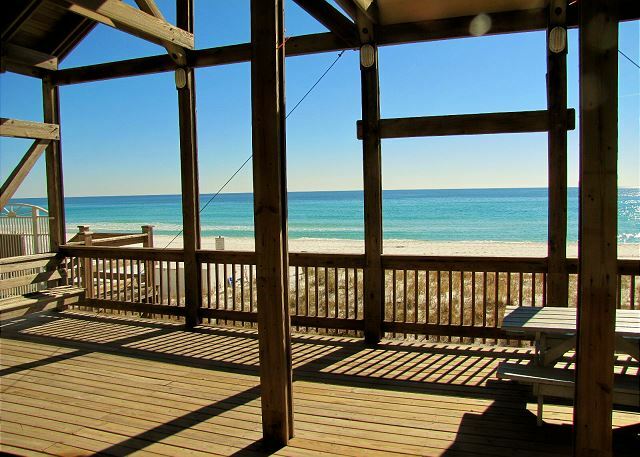 It is a nice vacation home in the best vacation rental neighborhood in Destin! Well kept with incredible amenities! So happy you enjoyed your stay at Ocean Dreams! It is a nice home in a gated neighborhood close to everything with the best amenities! Glad you had a great time!